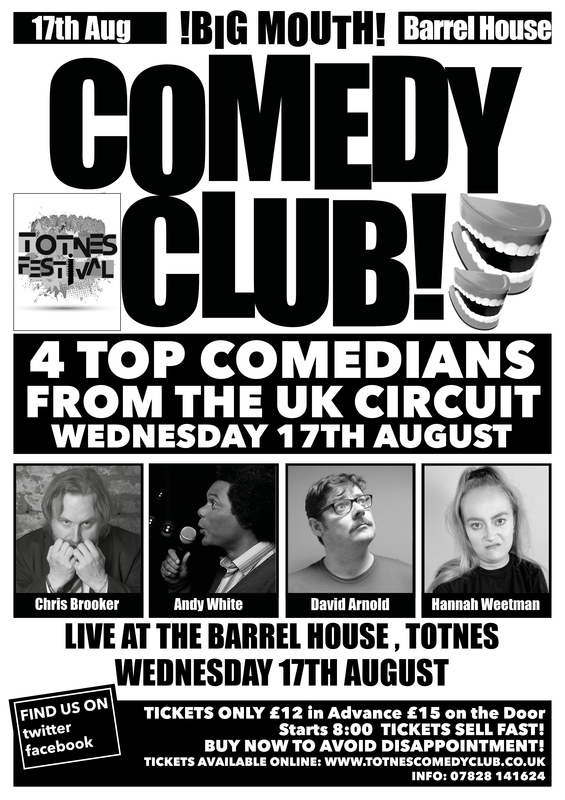 Totnes Bigmouth Comedy Club Live at The Seven Stars Hotel, Totnes - The only Comedy Club in Totnes and Surrounding Areas! You can now buy Vouchers. Great Present idea! Simply select Voucher rather than Ticket. Valid for 6 months. TICKETS ALSO AVAILABLE ON THE DOOR.